Love it or hate it, the Vodka Red Bull is one of the most popular drinks of our time. It owes its fame to the energy drink craze that began with Red Bull in the early 2000s. While it has lost a bit of steam, it is still a drink that many people seek out. There is no real trick to the Vodka Red Bull and it is one of the easiest vodka mixed drinks you will find. Simply pour a shot of vodka and fill the glass with ice and the energy drink. Pour the vodka into a highball glass filled with ice. How Strong Is the Vodka Red Bull? 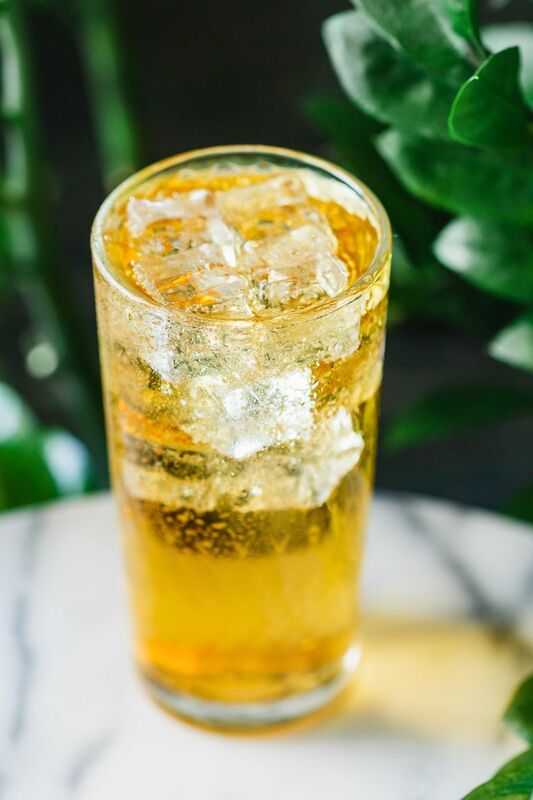 The alcohol content of a Vodka Red Bull is relatively low, weighing in at around 13 percent ABV (26 proof) if you stick to a 2-ounce pour of 80-proof vodka. If you pour more vodka or less than 4-ounces of Red Bull, it will become a much stronger drink. The amount of alcohol in the Vodka Red Bull is not the biggest concern, however. From a health and safety standpoint, it is the mixture of alcohol and energy drink that can cause serious issues. There is a precaution that should be noted about any mixed drink that combines liquor and energy drinks. Alcohol is a depressant and the energy drink is a stimulant, combining these two into a single drink can have adverse effects and even lead to serious problems. Primarily, it is the fact that the ingredients in the energy drink can mask the effects of alcohol. This can lead you to drink more than you'd like because you don't realize how intoxicated you really are. You're wired, you feel like you have all the energy in the world, and you want to party all night. But what happens when you hit that wall and your body starts rejecting the alcohol or you become too drunk to know what's going on? A 2007 study of college students by Wake Forest University found that students who drank energy drinks with alcohol were more likely than their non-energy drinking peers to get into trouble. This includes drunk driving or getting in the car with someone who's had too much to drink and an increase in risky sexual behavior. A more recent study released in 2014 from Northern Kentucky University also links risky behavior and possible alcohol dependence with the combination of alcohol and energy drinks. Scientific studies are not alone in their warnings. In 2010, the U.S. Food and Drug Administration (FDA) sent warning letters to producers of many caffeinated malt beverages. Shortly after this, the majority of these drinks left the market. In the complaints, the FDA also noted the possibility of alcohol poisoning because drinkers don't realize how much they're consuming. Science and the prevalence of bad judgment aside, the truth is that mixing a stimulant with a depressant is not the best for your body. The risks are too great and, let's face it, there are many other great mixed drinks to choose from. The Vodka Red Bull does not taste that great, either (sorry, it's the truth). Instead, order a Vodka Cranberry or a Vodka Tonic or some other soda and take it easy on the number of drinks you have each night. No one wants to curb your fun or enthusiasm for a great party, it's just a matter of your safety and your health. In reality, a nasty hangover may be the least of your worries and in the larger scheme of things, the Vodka Red Bull is not a great drink in any aspect.